Father’s Day is coming up and while we know you haven’t forgotten (ahem), that doesn’t mean you can’t pick out a super awesome gift last-minute to prove to pops that you are in fact the perfect child. Check out these 10 amazing gifts for the LA Dad that you can surprise him with on Father’s Day. 1. Biolie Solar Panel – Perhaps your father likes the great outdoors a lot or maybe he travels a lot for work or maybe he is just watching the electric bill. Whatever the reason, your Dad is sure to love this solar-panel, portable phone charger. The solar panel is the size of an iPad and comes with an adjustable kickstand so you can capture the sun at any angle! 2. Vintage Dodgers Baseball Jacket – If your Dad is a tried and true Angeleno, then he needs an epic jacket. But not the kind you buy at the stadium’s gift shop. We’re talking about the real deal, vintage jacket. Pick up one of these bad boys on eBay or at a vintage shop. Unless he’s an Angels fan. Then you might just need to buy him some packing boxes to get outta town. 3. Apple TV – Most Dad’s like to grab a cold one and zone out to some good television. With the Apple TV gift, he can enjoy some high quality cable television and YouTube, Netflix, Hulu and more. 4. BOSE Noise Cancelling Headphones – Dads put up with a lot. Screaming kids, noisy traffic and most likely, a boss who always complains. Give Dad the gift of peace and selective silence with these noise cancekling headphones. They’re very comfy and allow Dad the feeling of space. 5. Fitbit – Give Dad the gift of good health with the latest Fitbit bracelet. With cool extras like a heart monitor, GPS, watch, music and call alerts, you can pick any kind of fitbit that fits Dad’s style or your budget. Plus, they look super sporty and cool. 6. 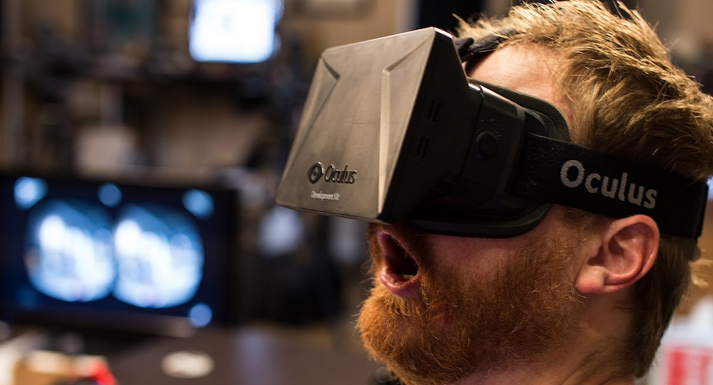 Virtual Reality Headset – Say WHAT?! If Dad is into tech gear or futuristic games, this is the ultimate, cool present. He’ll be spending hours watching game highlights, Youtube videos, or showing off his new toy to his friends at the office. 7. The Ultimate BBQ Dinner – Dad and BBQ go together like Dad and football. Treat him to a day of watching TV or hanging poolside while you prepare an epic BBQ feast! And for those of you who can’t pull off pulled pork ribs like Dad, he’s sure to chime in every now and again to make sure they’re absolute perfection. 8. The Spunkiest Tie Ever – Dad is used to the days of receiving the mediocre tie. In fact, he might have actually liked them. But in the land of fashion bloggers and fashion-forward divas, it’s time for Dad to take it up a notch. Give Dad the hippest tie in the city and make this an amazing conversation starter for his next business meeting. 9. Apple Watch – In the land of gadgets and cool technology, LA is ahead of the game. So of course, Dad needs a slick watch that portrays how tech-friendly he is. The Apple Watch comes with text, call and news alerts as well as alternating bracelets to match any outfit for any occasion. 10. Ray-Ban – For the retro Dad, the cool Dad or the Dad who just needs a pair of decent sunglasses, this is the ultimate man’s man glasses. Aviator’s are a classic pair he will love, but feel free to shop around for the ideal look whether he’s a retro pop or a hipster Dad. From low to high to midrange budgets, all of these gifts are perfect for any Dad and any gifting child. Be prepared to be the favorite child in the family this Father’s Day.